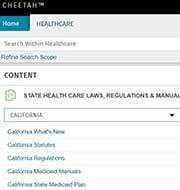 Republican lawmakers introduced two bills to alter certain provisions of the Patient Protection and Affordable Care Act (ACA) (P.L. 111-148). The bills, which came out of the House Ways and Means and Energy and Commerce Committees, would retain the vast majority of the ACA. Thus, despite Republican announcements to the contrary, the bills within the American Health Care Act would not repeal or replace the 2010 health care law. However, the proposed legislation does seek to eliminate or make substantial changes to some of the more contentious ACA provisions, including the individual health insurance mandate, the inclusion of abortion services among minimum benefit requirements, Medicaid expansion, and several new taxes imposed by the health reform law. Tax changes. The Ways and Means bill is centered on changing the tax provisions of the ACA. The bill would eliminate penalties related to the individual and employer mandates to buy or provide health insurance, but would not eliminate the mandates themselves. Additionally, the bill would eliminate revenue-raising taxes including a tax on tanning salons and the controversial medical device excise tax. The bill would also make changes to the premium tax credits designed to make premiums more affordable for some individuals who purchase health care on the ACA exchanges. The Ways and Means bill would eliminate premium tax credits for health insurance plans that include abortion coverage and the bill would entirely repeal the ACA’s premium tax credits beginning in 2020. In place of the repealed credits, the bill would create a new advanced tax credit as well as provide incentives for individuals to open health savings accounts (HSAs). Medicaid changes. In addition to putting a freeze on federal payments to certain family planning and reproductive health service providers like Planned Parenthood, The Energy and Commerce bill focuses on changes to Medicaid. The bill proposes the repeal of Medicaid expansion, specifically by repealing the state option to extend coverage to adults above 133 percent of federal poverty. The bill also proposes a move away from traditional Medicaid funding towards a per capita model where, beginning in 2020, per enrollee limits would be placed on federal payments to States. The Energy and Commerce bill also would require states to consider lottery winnings for Medicaid eligibility purposes. Resolution. The bills are "budget reconciliation legislative recommendations," which would be passed under the provisions of S. Con. Res. 3, a Senate resolution which developed a streamlined process for Congress to pass health reform. The resolution process is salient in a contested political environment because it eliminates the threat of a filibuster by requiring only a simple majority for passage. Support. However, four Republican Senators sent a letter to Senate Majority Leader Mitch McConnell (R-Ky) expressing concerns that the bills do not provide adequate protections for families in Medicaid expansion programs. Additionally, the Senators cautioned that the bills do not provide adequate flexibility for states. President Trump tweeted with tepid support for the new bills, looking ahead to the next phases of the Trump Administration’s promised health care rollout.